NEW DELHI: President Pranab Mukherjee emphasised on the need for “pluralism and tolerance” on Monday in his last televised address to the nation as the President. Mukherjee said the “soul of India resides in pluralism and tolerance” and urged citizens to free public discourse from violence. 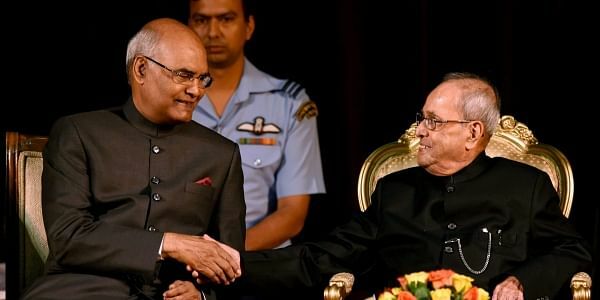 What appeared to be a reference to increased incidents of lynching in the name of cow vigilantism and the recent violence in West Bengal, the President said there was need for more compassion and empathy as these are the “true foundation” of the country’s civilisation. He asserted that the country derived its strength from tolerance. “Multiplicity in culture, faith and language is what makes India special.” The 81-year old, however, added, “But everyday, we see increased violence around us. At the heart of this violence is darkness, fear and mistrust. We must free our public discourse from all forms of violence, physical as well as verbal.” The veteran politician stressed that the power of non-violence has to be resurrected to build a compassionate and caring society. The President also reminded the people of Mahatma Gandhi’s philosophy, and said the creation of an inclusive society had to be an article of faith. “We may argue, we may agree or we may not agree. But we cannot deny the essential prevalence of multiplicity of opinion. Otherwise, a fundamental character of our thought process will wither away,” he said. Mukherjee also advocated for the poorest sections of the society and said that not only a non-violent society can ensure the participation of all sections of the people, especially the maginalised and the dispossessed, in the democratic process. Mukherjee, a former lecturer who has often assumed the role of a teacher during his visits within and outside the country, spoke about education, which he called the alchemy that could take India to its next golden age. The President called for upgradation of higher educational institutions to world-class levels. Mukherjee, who will demit office on Tuesday, also stressed on the need for protecting the environment. He said nature had been kind in its bounty but cautioned that “when greed exceeds need, nature lets loose its fury”.